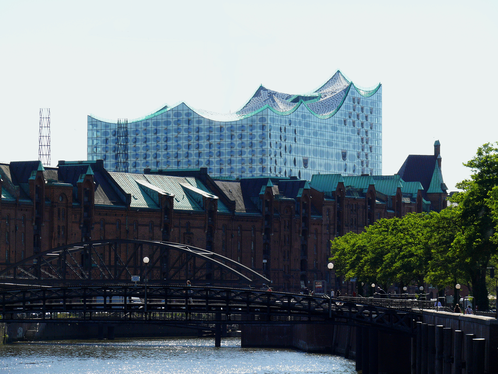 The “Free and Hanseatic” City of Hamburg is the second largest city in Germany. On the river Elbe, the port of Hamburg is the third largest port in Europe and an important cruise harbor. The city is young, trendy and cool and influenced by water. Hamburg has the most bridges of any city in the world. When looking at cities with many bridges, most think of the charming islands of Venice or the beautiful canals of Amsterdam. But, in fact, Hamburg has more bridges than any other city in the world. The Lake Alster swans have a father. The Beatles-Platz is directly located on the party street of Hamburg. Here, life-sized figures of The Beatles members are displayed. It was named in honor of the band who started their career and became famous in the clubs around the Reeperbahn. Övelgönne - just a short boat trip away from the city center. Beautiful walk by the river Elbe at the so called "Elbstrand", where you get a fantastic view over the harbor. Beach feeling guaranteed. Typical and regional food: Enjoy your fish roll in a relaxed atmosphere.